Knowing how to start homeschooling can send you into a panic. Whether you have decided to start homeschooling or are just looking into the option, there are some steps you can take to help you know where to start. The most important place to start is with your child assessing who they are and what they need. 1. Observe your children - How do they play? How do they interact with others? What do they enjoy doing and not doing? Do they enjoy loud or quiet? Do they enjoy creating or filling in the blanks? Answers to all these questions will help you know where to start when planning your home school. If you want a homeschool Learning Style Assessment for your child, then you can use this link to get $5 off the one I recommend. 2. 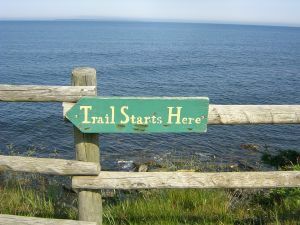 What is your long term goal? Write down what you want your child to be like when they are 18 years old. You can be as detailed as you want. What kind of character would you like them to have? What kind of qualities would you like them to have? Remember that people who write down their goals are 90% more likely to meet their goals. Obviously, you don’t have total control over how your child turns out. Much of who they become will be determined by the choices they make. You will be able to help guide those choices though. 3. Think about what you want your day to look like. Do you want to be completely involved in your child’s studies or do you want them to be completely self-taught? How much time do you have to devote to home schooling? Do your children respect you and listen to what you say? If they don’t do that now, then you may need to address that issue right away. Do you want a more flexible approach to your day or do you want a more structured schedule? 4. Look at what is available for homeschooling. This can be an overwhelming thought. I could write a whole book on my favorite homeschool resources. Basically, you just need to know how your child learns best, what kind of style you are comfortable with and go from there. Remember that more is not always better when purchasing books. You can always buy more later or borrow what you need from the library. 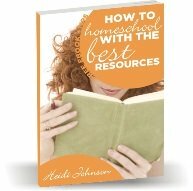 I have resources available that send you a homeschool catalogs of many different types of curriculum that you can look at in your own home. Homeschooling does not need to be difficult or overwhelming. When you know your child and yourself, you are able to view all the options available and make an informed choice. Do you want more information about how to start homeschooling? Just download the free book below and you'll get the complete guide that I have written, delivered right to your computer. Are you going to be homeschooling Kindergarten? Then you might need some guidance in how to get started homeschooling Kindergarten. My book How to Homeschool Kindergarten might be just what you're looking for. You can use this simple, natural approach to teach your Kindergarten student everything they need to know and still have fun together. Do you need some help choosing curriculum? These are my absolute favorite homeschool resources. I hope this list helps you make your curriculum choices. I have them grouped by grades.